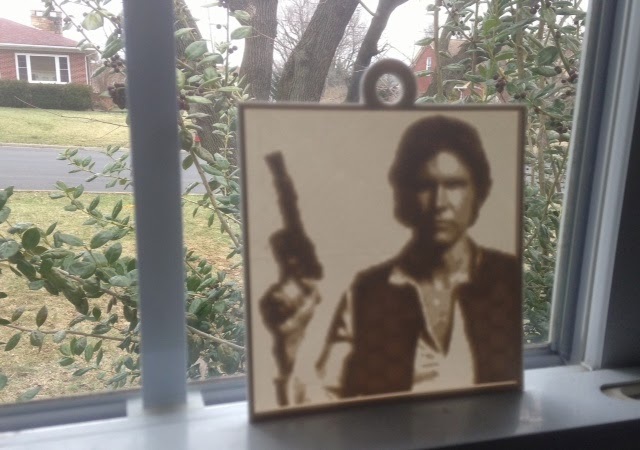 Today I rest, and print atartanian's Han Solo Lithopane design from Thingiverse, based on MakerBot's Customizable Lithopane design from last year. Thank you for making this possible, internet! Now this is pretty cool, but I nearly fell over when I saw how amazing this thing looks like when light shines through it. Let me stress: the picture below is of the same object as the picture above! Settings: Printed on a Replicator 2 with a glass build plate and blue tape. 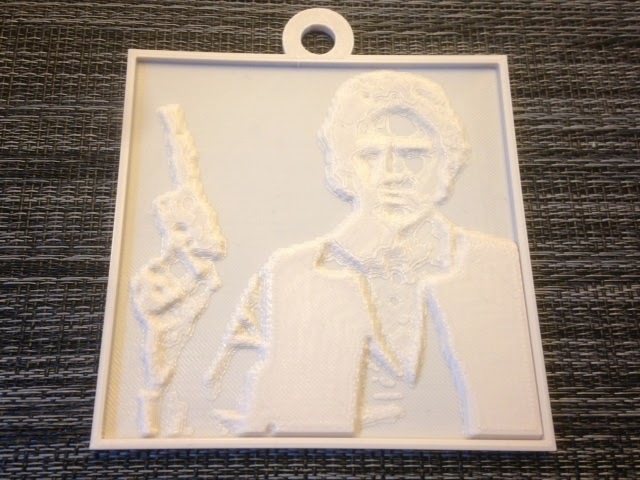 As recommended for lithopane designs, this was printed at .2mm/standard layer height with light-colored filament. We used MakerBot's excellent "Warm Gray,"our favorite filament for Serious Prints. (And which we think should be called "Bone" instead, in case anyone is listening.) Our new glass building plate did a great job; it is clearly much, much better than the old acrylic plate for printing things that are large, thin, and flat.